Large paper clip featuring a mason jar with heart embellishment. 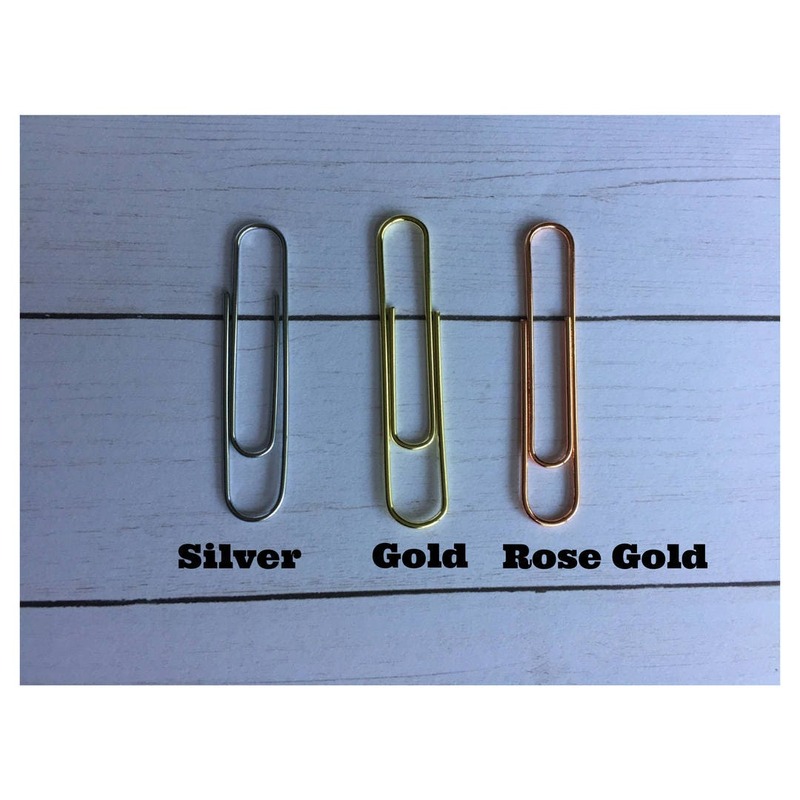 Choose a silver, gold or rose gold paperclip. 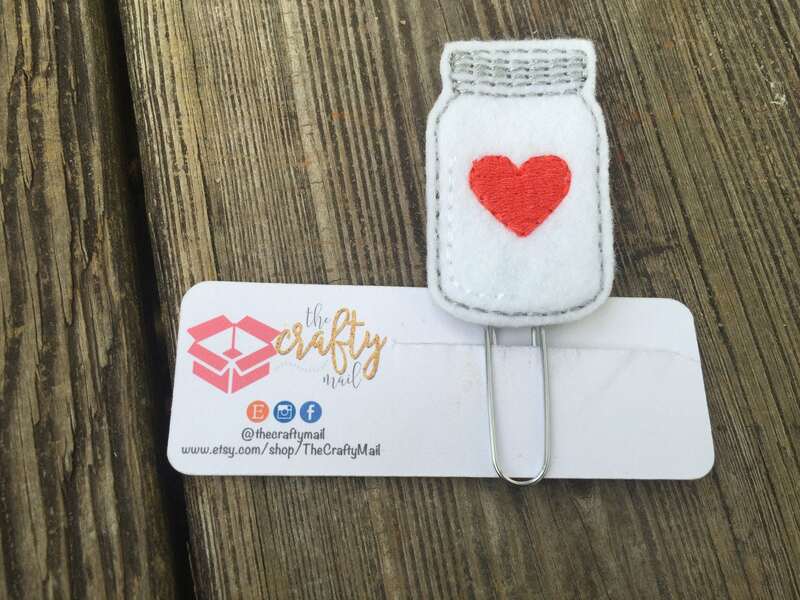 Darling mason jar w/heart clip! Great idea and I can use it year round. I just happened upon The Crafty Mail and what a great find!! Absolutely one of my new favorite shops! She is running a sale to thank her customers during the busiest time of the year! Now that is someone who truly cares!! Thank you so much for the awesome clips and the sweet handmade envelope they arrived in. A new and loyal customer! Love the stitching in this! !